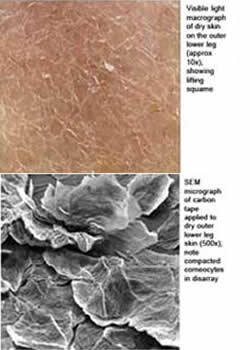 Have you ever wondered what it is that your peeling solutions are affecting or how they work? The old saying “softening and loosening the bonds that hold the corneocyte in place” didn’t do it for me. I wanted to know more, hence my research into cell junctions and the role they play in skin adhesion. In addition I wanted to know the effect that different acids had on those cell junctions. Bricks in a building must be stuck together and also tied somehow to the foundation. Similarly, cells within tissues and organs must be anchored to one another and attached to components of the extracellular matrix. Cells have developed several types of junctional complexes to serve these functions. In each case, anchoring proteins extend through the plasma membrane to link cytoskeletal proteins in one cell to cytoskeletal proteins in neighbouring cells as well as to proteins in the extracellular matrix. The human body is composed of cells organised together with extracellular matrix into tissues having specific characteristics relating to specific functions. Each tissue is composed of several cell types and supporting extracellular matrix. About 200 cell types are found within the human body, and this article is discussing the cell junctions found within the epidermis. This article concentrates on the cell junctions in the adult epidermis. Cells within a tissue must communicate with one another, and this may be facilitated by a signalling mechanism or by direct cellular contact. In tissues where wear and tear is a regular occurrence like the skin and heart, cells are held tightly together by a series of cell junctions to form a barrier. 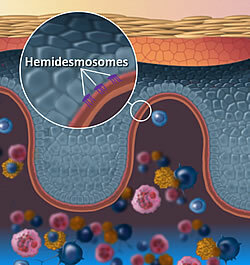 Cells are held together by the adhesive forces of cellular membrane molecules called desmosomes and hemidesmosomes. Epithelial cells communicate and adhere to each other and/or to the underlying basement membrane by diverse junctions, which are presented schematically in the diagram at left.Specialised junctions provide attachment and mechanical strength to the epithelial cells, and mediate signals from the neighbouring cells or from the extracellular matrix to the cyto-skeleton and the cortical cell cytoplasm. The epidermis consists of four different layers: stratum basale, spinosum, granulosum, and corneum. Depending on the epidermal layer, the keratinocytes express a selected pattern of cell junctions. The expressions of different junctions and junctional molecules have been shown to vary also during development. The intercellular junctions characterised so far in the epidermis are desmosomes, adherens and gap-junctions. The hemidesmosomes connect the basal keratinocytes to the basement membrane. The tight junctional molecules have been described to occur in the stratum granulosum. Anchoring Proteins occur in three structurally and functionally different forms: Anchoring Proteins also known as Adhesive junctions for Cell to Cell or Cell to Extracellular Matrix. The anchoring junctions enable groups of cells to function as robust structural units by connecting the cyto-skeletal elements of a cell either to those of another cell or to the extracellular matrix. They are most abundant in tissues that are subjected to severe mechanical stress, such as heart muscle and skin epithelium (epidermis). Desmosomes are cell-cell junctions, which are attached to the intermediate filaments. These junctions are complex disc shaped structures, usually a few hundred nanometres in diameter. The surface on one cell is matched with an identical structure on the surface of the adjacent cell. Within each cell, in close approximation to the junction is a circular plaque made of some 12 proteins called the attachment plaque, the plaques have numerous intermediate filaments (keratin) entering and leaving them. These junctions seem to function as points of especially firm adhesion between adjacent cells. Desmosomes are very abundant in the skin and mediate a strong adhesion between the epidermal keratinocytes from the basale cell layer to the stratum corneum. These junctions can rapidly respond to environmental changes, and allow the dynamic processes such as wound healing to occur. 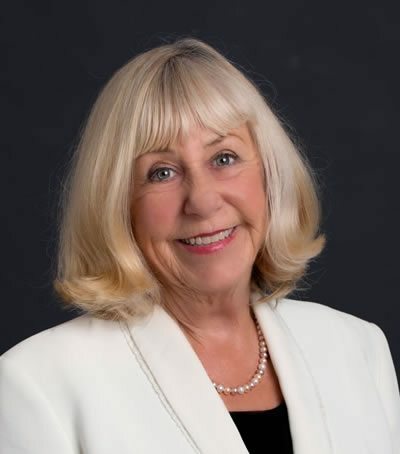 The lack of desmosomes is associated with skin cancer. It is suggested that the absence of this junction account for a tumors ability to grow. However, they are not found solely in the skin and may vary in structure depending on the structure being examined. Hemidesomosomes (Connecting sites for intermediate filaments). There is also such a thing as a hemidesmosome, meaning half desmosome. These are not necessarily found between two cells. Hemidesmosomes, instead, connect epithelial cells to the basement membrane (basal lamina ) where they serve to bind the cell to the membrane. Adherens junctions (Connecting sites of actin filaments). 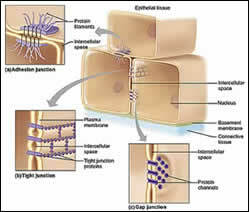 This type of junction encircles the cell and provides for the adhesion of one cell to another. These junctions are rich in actin, myosin, tropomyosin and vinculin microfilaments. Another type of plaque bearing junction is the adherens junction, and it is associated with actin filaments. The actin filaments are connected to catenins. Because of their association with actin filaments, adherens junctions help to mediate coordinated movements and shape change of neighbouring cells. The main protein of an adherens junction is vinculin. Vinculin functions to bind adherens junctions to the actin filaments. Cadherins are also present and are the transmembrane proteins that connect the cells. Adherens junctions are found primarily in cardiac muscle and epithelial tissues and are responsible for maintaining contact inhibition. 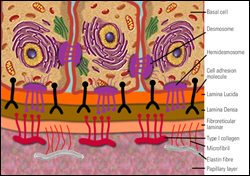 Adherens junctions mediate the cell-cell contacts of all living cell layers of the epidermis. These junctions are connected to microfilamentous cytoskeleton. The transmembrane molecules of the adherens junction are the calcium-dependent E- or P-cadherins, while the plaque consists of plakoglobin and α- and β catenin. The assembly of adherens junctions seems to be a driving force for the formation of other cell junctions (e.g. desmosomes). In addition to their adhesive function in epidermis, the adherens junctions have been assumed to participate in cellular communication, migration, and tissue. Focal adhesions have been shown to appear in keratinocytes in vitro, and these molecules may play a role in e.g. the migration of the cells during wound healing. Focal adhesions mediate the cell-matrix interactions (such as between keratinocytes and the cell culture substratum) and are linked to the icrofilaments. Communication junctions also known as Gap junctions provide direct chemical and electrical communication between cells by allowing the passage of small molecules and ions from one cell to another. Gap junctions are numerous in all layers of the epidermis and have an important role in the coordination of the keratinocyte growth and differentiation and in cell-cell communication. The gap junctions form a hydrophilic pathway for passive diffusion of nutrients, metabolites, ions, and small signalling molecules up to ~1000 Da in size between adjacent cells, which would include ions, some hormones, cAMP and cGMP causing cells in many tissues to act in a coordinated manner. Structurally, each gap junctional channel is composed of pair of connexons / hemichannels, which leave a narrow intercellular gap between the neighbouring cell membranes. Each connexon is composed of a hexameric assembly of connexin proteins lining the transmembrane channel. Many different types of the connexins can join to form a wide diversity of gap junctional channels, depending on the tissue and the functional status of the cell. Also known as Tight junctions, Occluding Junctions create an impermeable seal between cells, thereby preventing fluids, molecules, or ions from crossing a cell layer via the intercellular space. These junctions are seen as a band that encircles the cell and fuses adjacent cell membranes closing off the intracellular space. The principle function of the tight junction is to form a more or less tight seal that prevents the flow of materials between cells. The membranes may have many fusion sites within the junction and therefore be more impermeable or have only a few and be relatively “leaky”. The tight junctions are one of the cells first lines of defence against unwanted molecules entering the body through the side door. Desmosomes basically provide strength and integrity to the epidermis by tethering the cells of the stratum spinosum (spiny layer). 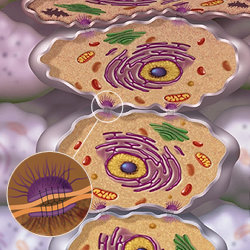 Desmosomes link adjacent cells together. Keratin intermediate filaments link one desmosome on a cell to another desmosome on a second cell. The whole epidermis (i.e. the stratum spinosum) is basically strung together by this system of desmosomes and intermediate filaments. As the cells move into the granular layer a number of changes to the keratinocyte take place. These changes contribute to the skin barrier defence systems, the dissolution of the desmosomes and the formation of NMF. Another type of granule contained in the granular cell layer is the keratohyalin granule. Instead of lipid, his granule contains a protein called profillagrin, which is subsequently digested to fillagrin. Further digestion of fillagrin by different peptidases makes the amino acid constituents of the natural moisturizing factor (NMF). Dissolution of the desmosomes also begins in the granular layer as the keratinocyte prepares for desquamation This dissolution of the desmosomes requires a percentage of free water for the enzyme activity that is needed to allow normal cell desquamation. The enzymes (glycosidase and proteases) that break apart these desmosomes are not only dependent on the presence of water, the protease enzymes are also sensitive to the pH, or acidity, of the skin. So it makes sense that when the pH becomes more acidic, these enzymes are activated to break apart the desmosomes, allowing skin cells to be shed more easily. Having dry skin, an impaired acid mantle or insufficient amounts of natural moisturising factor, can lead to decreased water content of the stratum corneum. This in turn leads to dysfunction of these degradative enzymes, which then leads to these residual desmosomes not getting degraded (so cells stick together) and therefore abnormal desquamation or scaling of the skin. Therefore, if it is not well hydrated, the enzymes functioning in destruction of the desmosomes do not work properly and the skin becomes dry and flaky. An example: When you have dandruff, however, the flakes consist of “aggregates of cells,” so you can see these this also indicates that there is something wrong with the normal desquamation process. In psoriasis, as well as any scaly dermatoses, there is something wrong with the granular cell layer and the process of desquamation is not functioning properly. We examined the mechanism of desquamation, to establish what factor influence the mechanism and what treatments might be effective for skin care. We have revealed that desmosomes play a key role in the adhesion of epidermal cells, and the digestion of desmosomes by two types of serine proteases leads to corneocyte desquamation. The water content in the epidermis influenced the digestion of desmosomes by the proteases. Thus, low humidity in winter may cause insufficient digestion of desmosomes and this may lead to a scaly skin surface.